I’ve been meaning to get this post up for a while now, but better late than never! 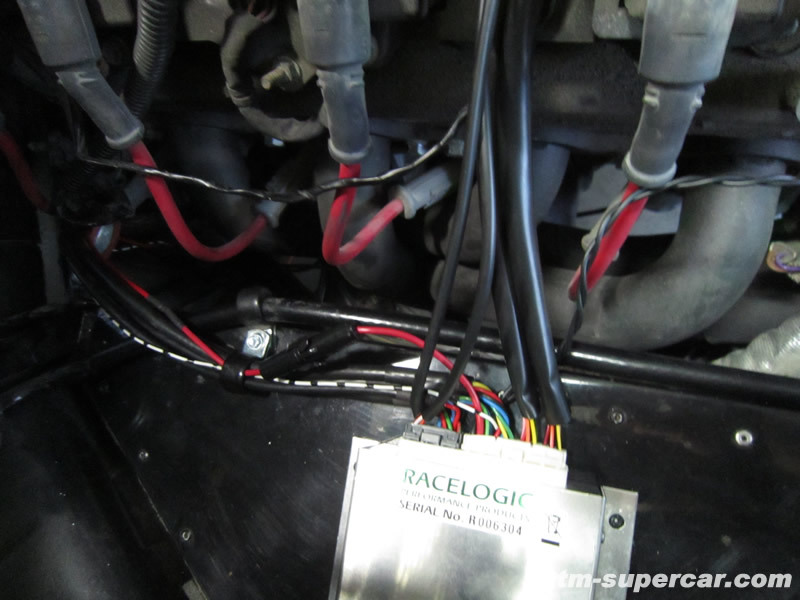 Last month I finished the installation of the RaceLogic traction control system. I can say this system is pretty amazing now that I’ve put a few hundred miles on it and have played with it a bit. 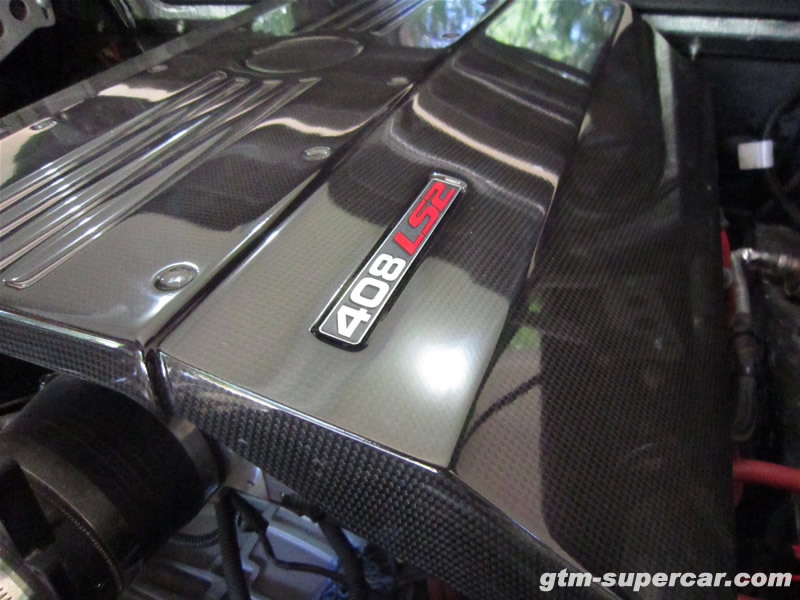 The RL system monitors all four wheel speeds and when it detects slip, misfires the engine using preset cut patterns. The cuts are so seamless I rarely notice the RL system stepping in – it just feels like the car has tons more gripping power. I have not messed with the launch control system yet, but plan to play with it more over the summer. 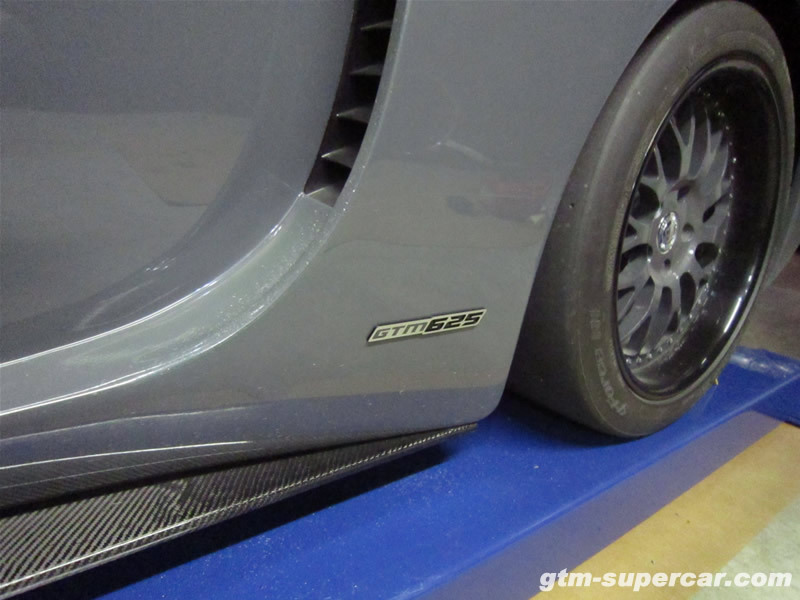 The system allows you to dial in 0 to 25% of allowed slip. 0% being ‘wet mode’ which allows zero slip, and only 5% in a straight line. 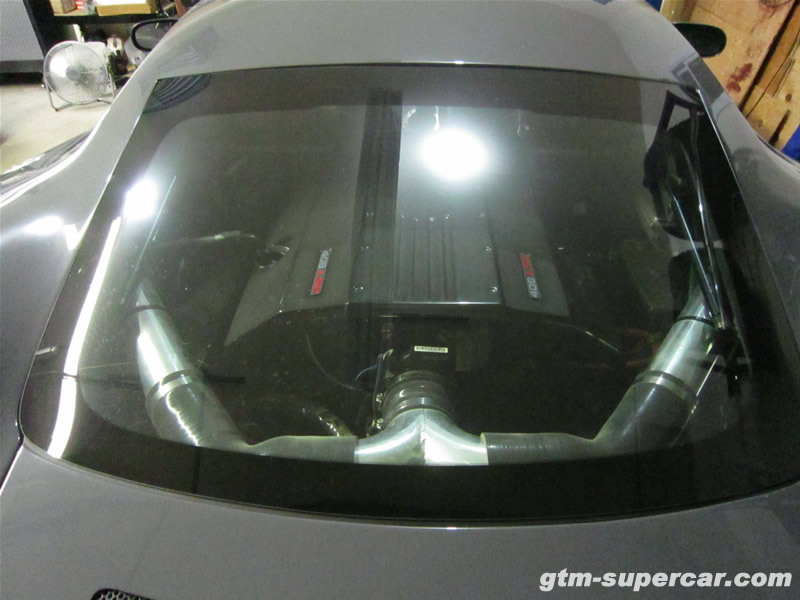 The system is very customizable once you hook a laptop up to it, allowing you to change fuel cut patterns, straight line slip allowance, etc. I have left everything at their defaults. 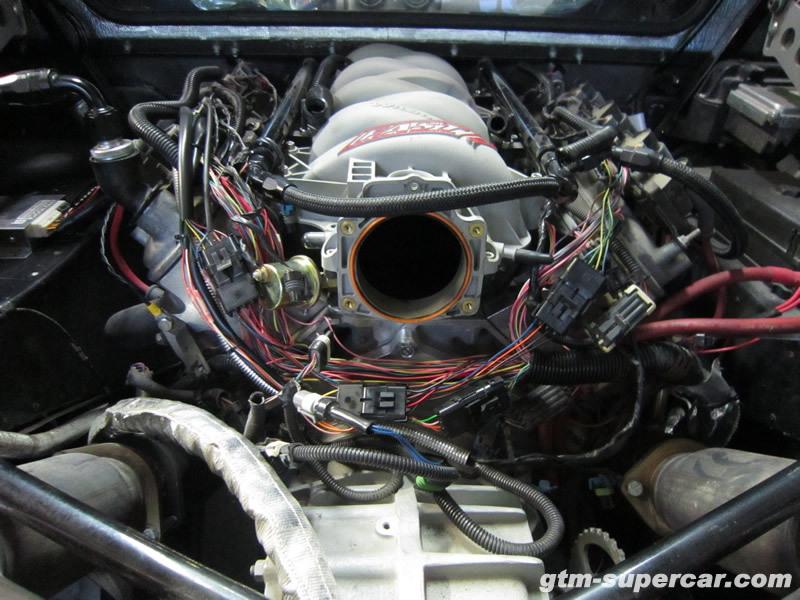 The first task was getting to the injector wires in the engine harness. Not the most glorious task, but not real difficult either. 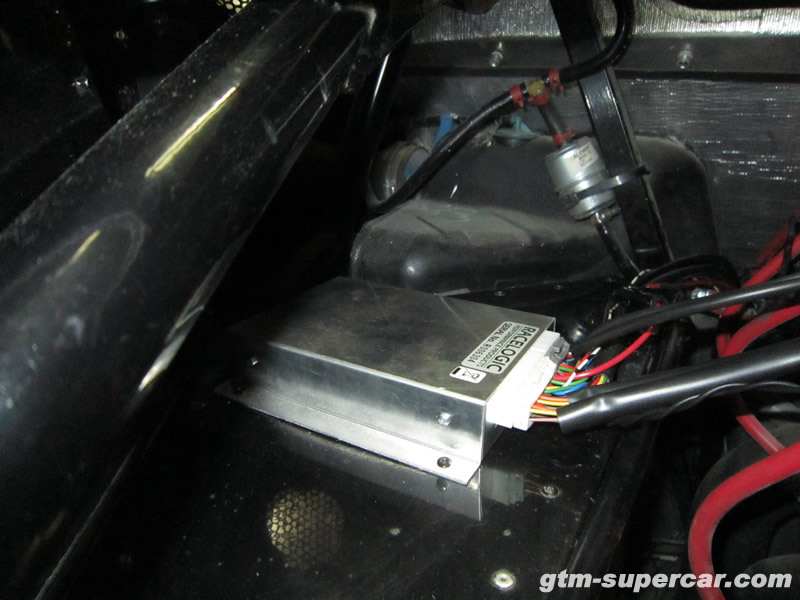 Once the wires were isolated I picked a spot where I wanted to mount the RL logic box. 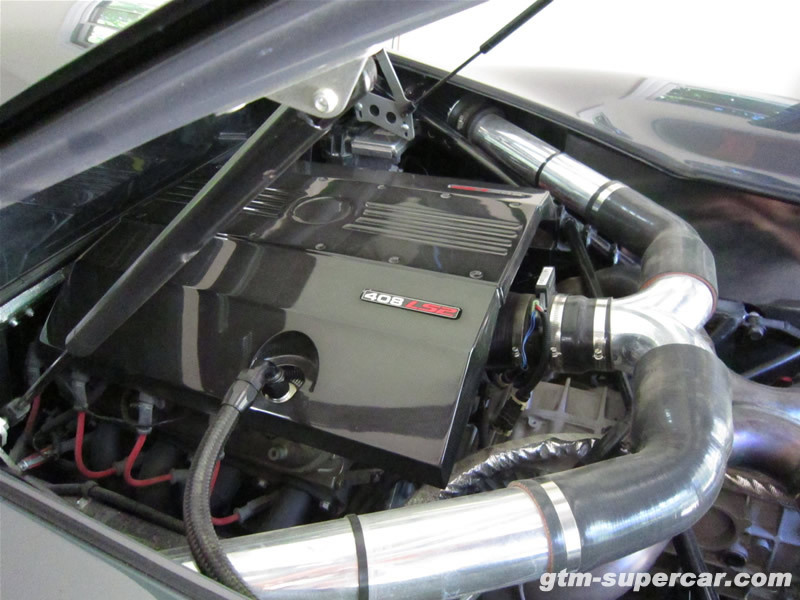 I choose above the left side of the engine bay – seemed to be the best spot for it. 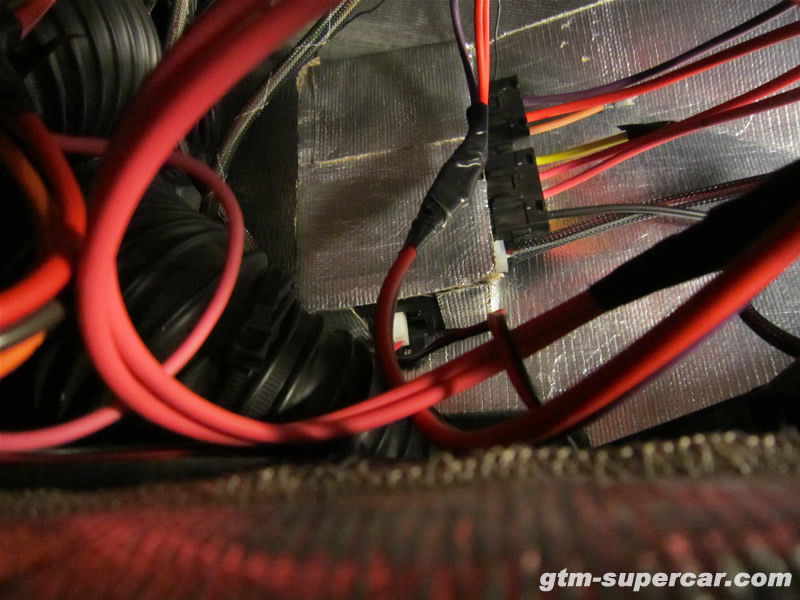 The harness RL provides to the injectors is very short, so I had them ship me a much longer harness so I did not have to do a bunch of wire extensions to get the logic box injector wires to the injector wires in the harness. 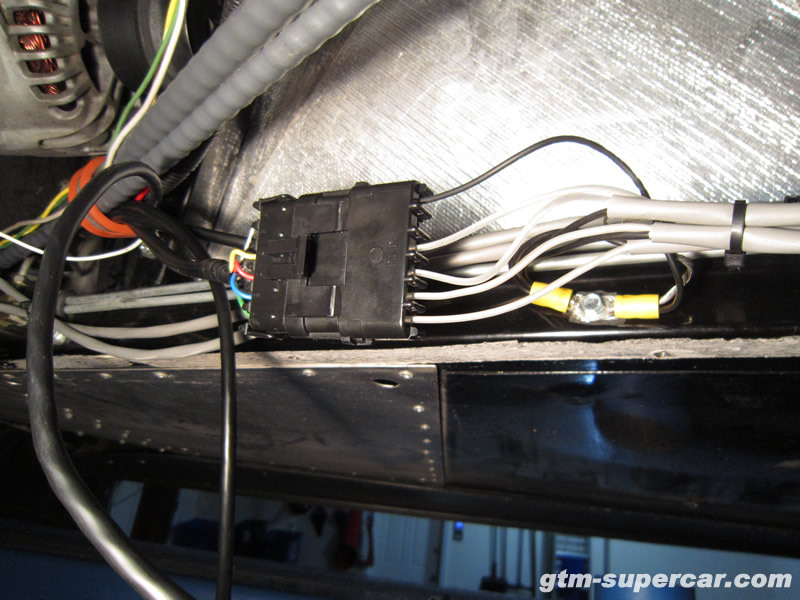 Once I had the harness, weatherpack connectors were used to connect the RL injector signal wires to the ECU/fuel injector signal wires. This allows me to return the car ‘to stock’ in case the logic box fails for some reason (which would prevent the car from starting). 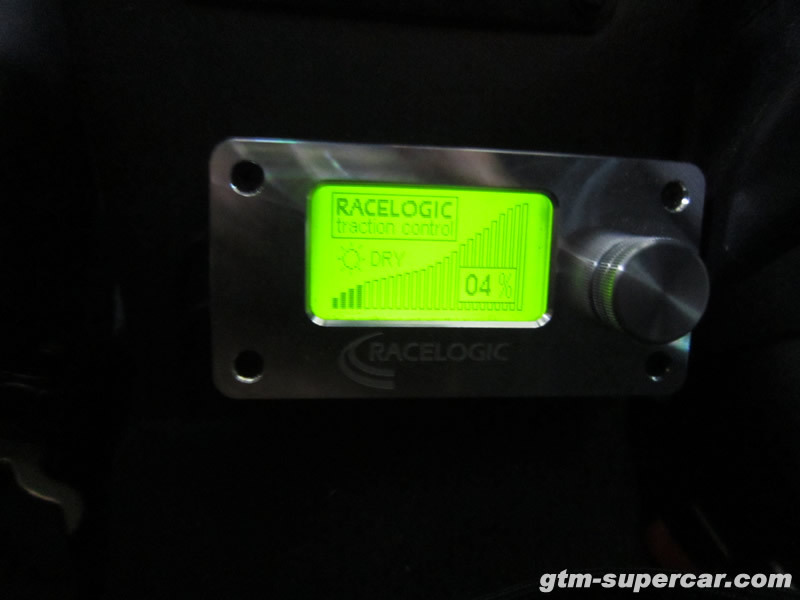 The RL logic box acts as a go-between between the ECU and injectors. 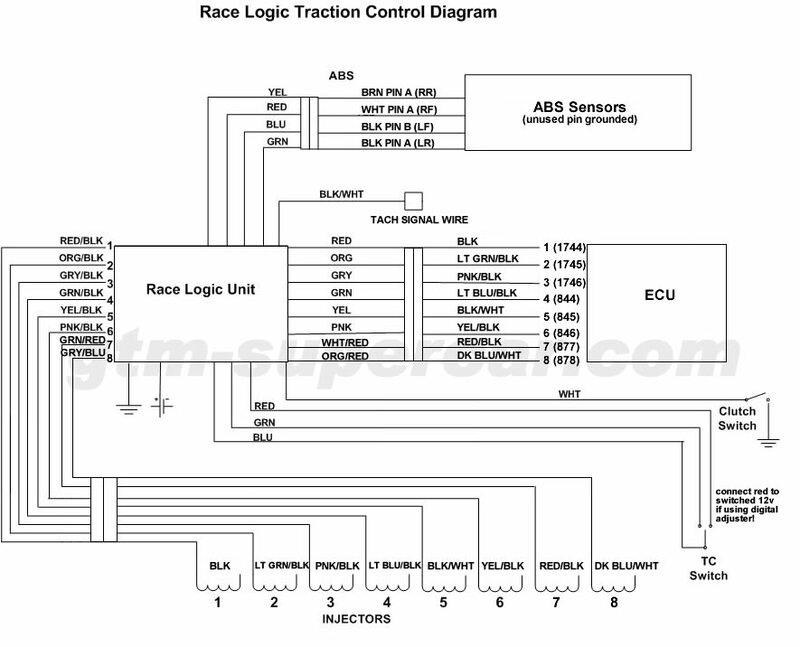 ECU runs to the RL logic box, RL logic box outputs to the injectors. With the harness done, some additional logic box and digital controller wiring had to be done. 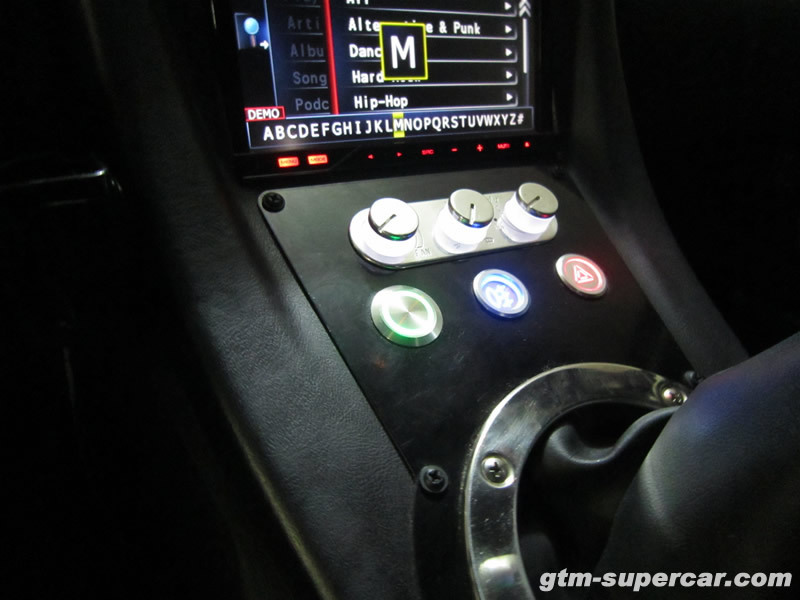 A wire taps into your RPM signal (I used the wire coming from the ECU, in the tunnel), and you have to route a +12v switched power source to the digital controller and logic box. The logic box connects to the digital controller via a serial cable. 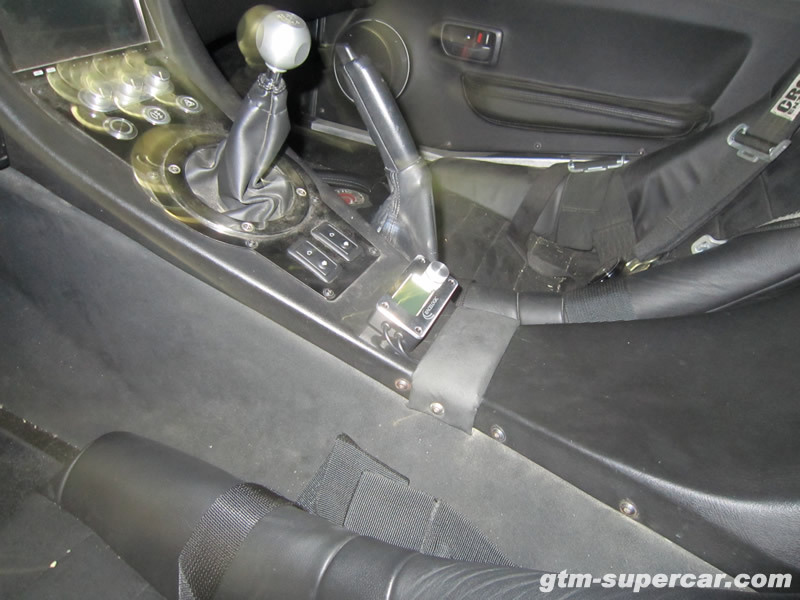 I opted to put the digital controller just ahead of the engine cover/water fall below the shifter. 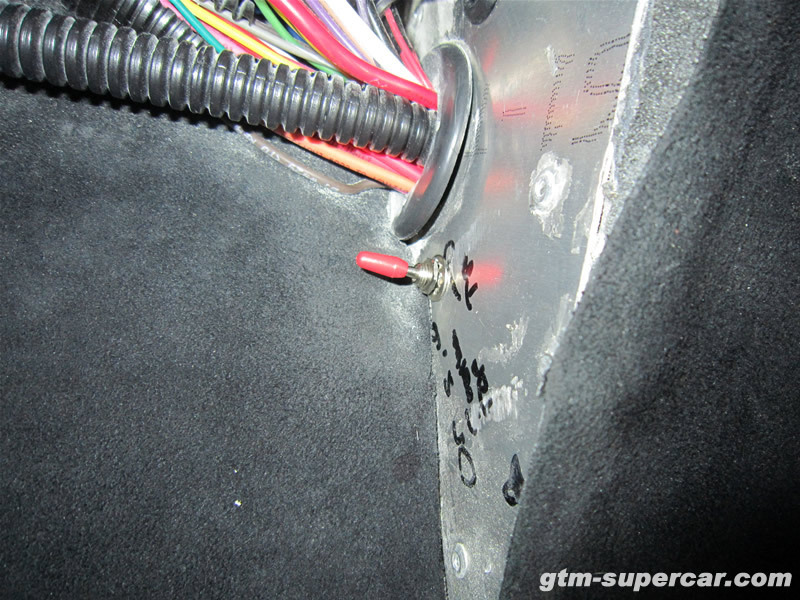 The last task was to connect the 4 wheel speed sensors (I used the already-present ABS sensors in the Corvette hubs, with new GM pigtails) to the harness wheel speed signal wires. Another weatherpack connector was used for this, for simplicity sake. 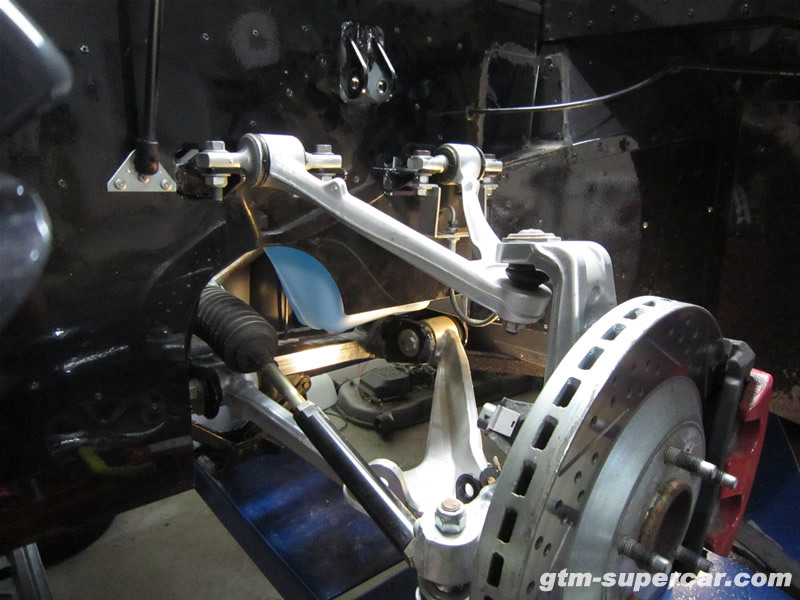 Everything was finished with any necessary grounds being routed to the chassis. The wheel speed signal wires are shielded so I just grounded the ground wire in each wire bundle to the chassis, along with the signal grounds. I’ve included the wiring schematic I drew up with the pics below. 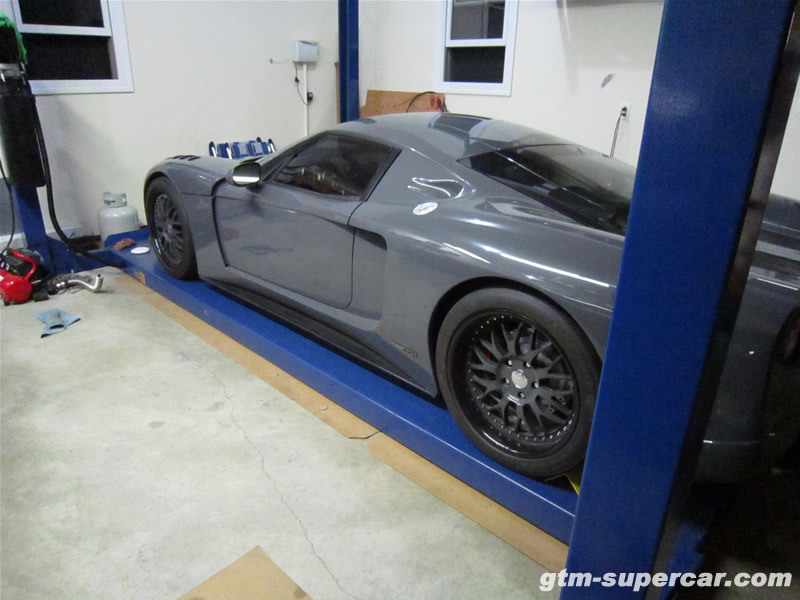 Factory Five issued an official update recently that informed GTM owners that we need to flip our front shocks from their inverted state, to running ‘body down’. 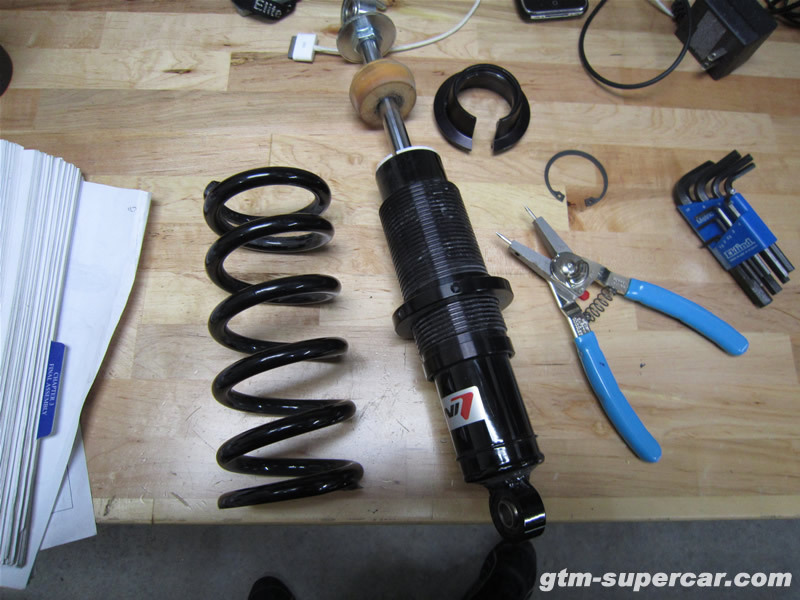 I’m not sure why FFR’s manual had us install the front shocks upside-down to begin with, but it turns out that the Koni shocks provided with the kit must be installed body-down. Failing to do so can cause them to, over time, operate as if there was no oil in the shock cylinders. 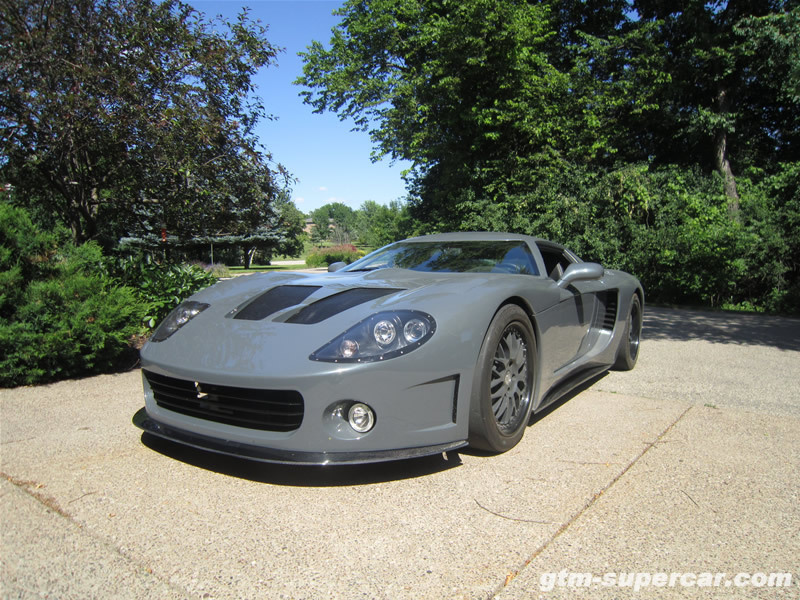 I think this explains why the front of the GTM is so sensitive. 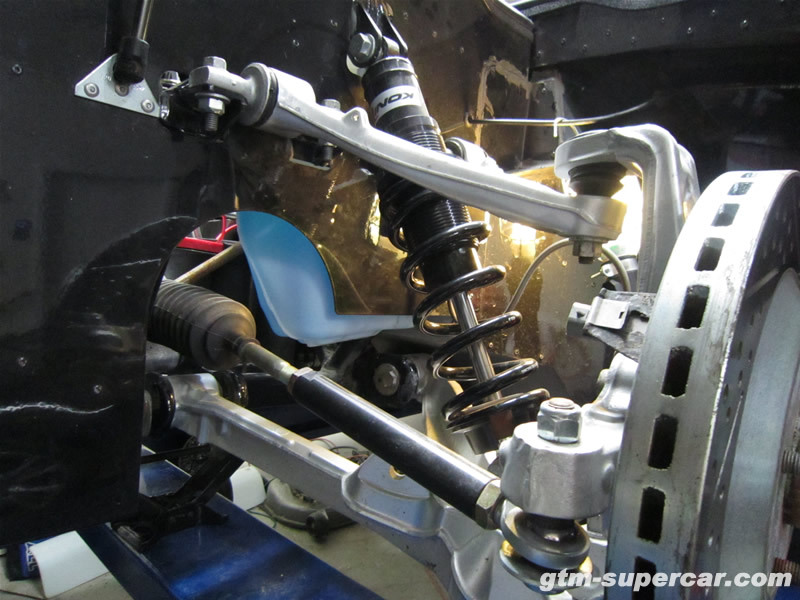 After removing the shocks I had to disassemble them so I could do a ‘reset’. This involved holding the shock upside down, compressing the shock, then flipping it over and manually extending the shock. This was repeated until the shock offered resistance through the whole range of motion. The first 4-5 times doing this the shock would compress half way, then suddenly snap to the top/bottom of its range of motion. 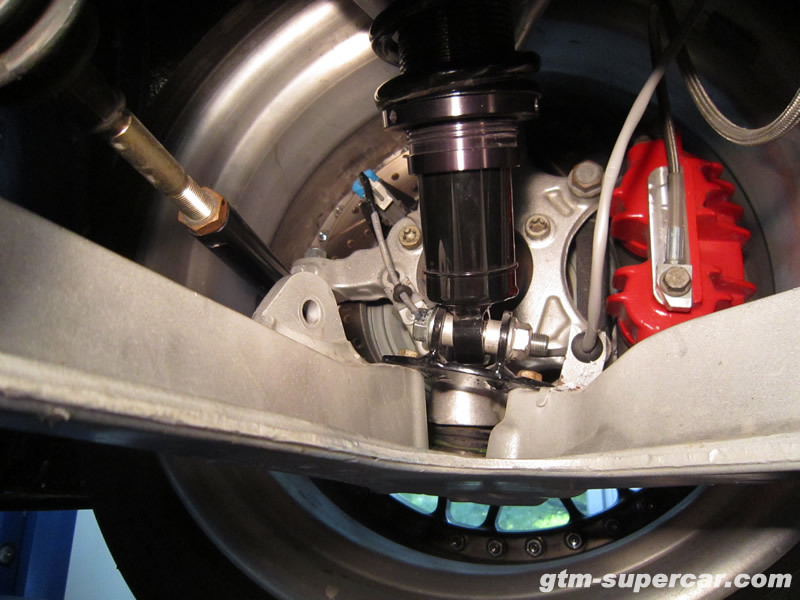 Essentially, the shock, while running inverted, was offering no dampening once it got around half-way compressed. Not good. 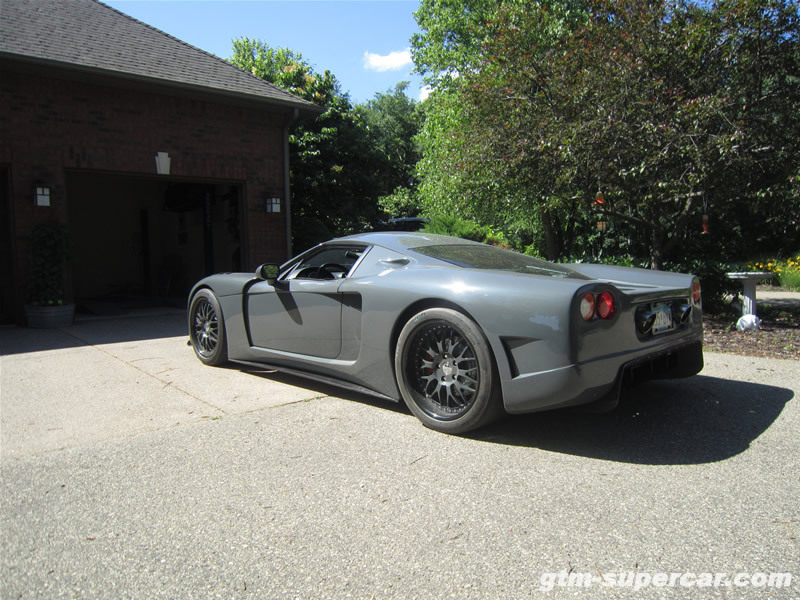 Now I just have to wait for spring to arrive to see how much the ride handling will be improved. 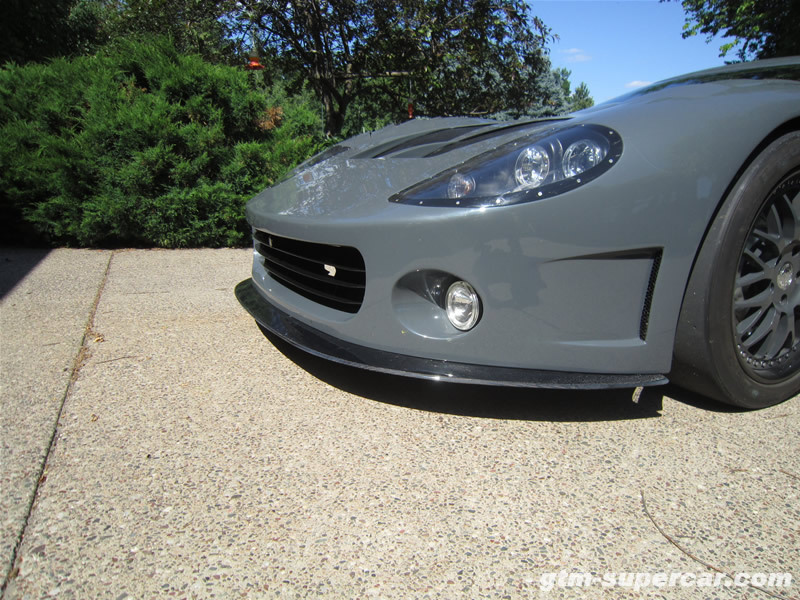 I recently ordered a Koni spanner wrench in hopes that I could get the rear coilovers adjusted further to increase the rear ride height. 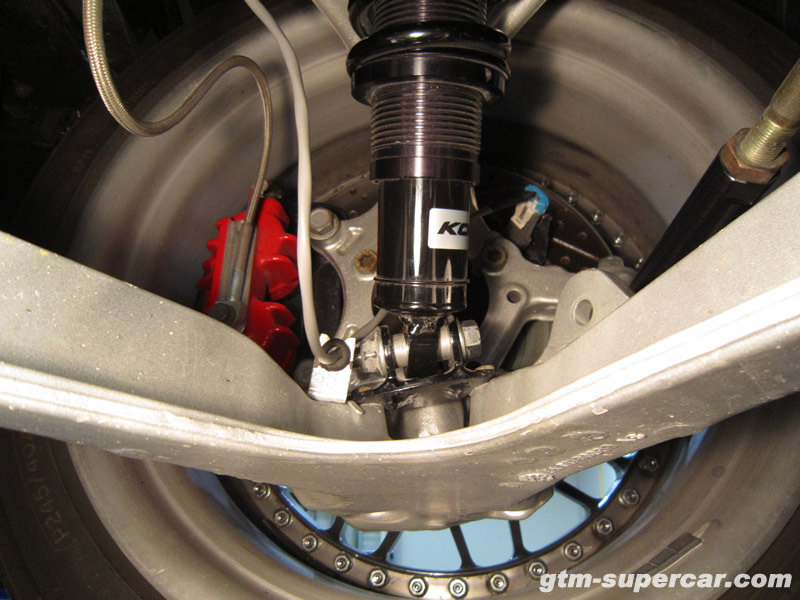 Despite the coilovers being Konis, the spanner didn’t fit ‘as is’ so I had to modify it quite a bit to make it suitable. 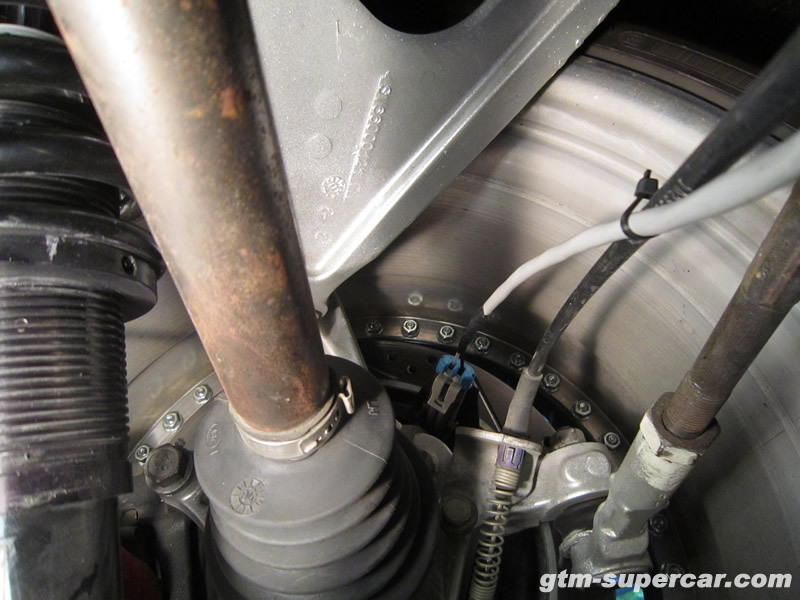 With the spanner usable I was able, with the use of a lot of elbow grease and a strap wrench, to get the coils dialed up a handful of turns, raising the ride height 1/2″ further. 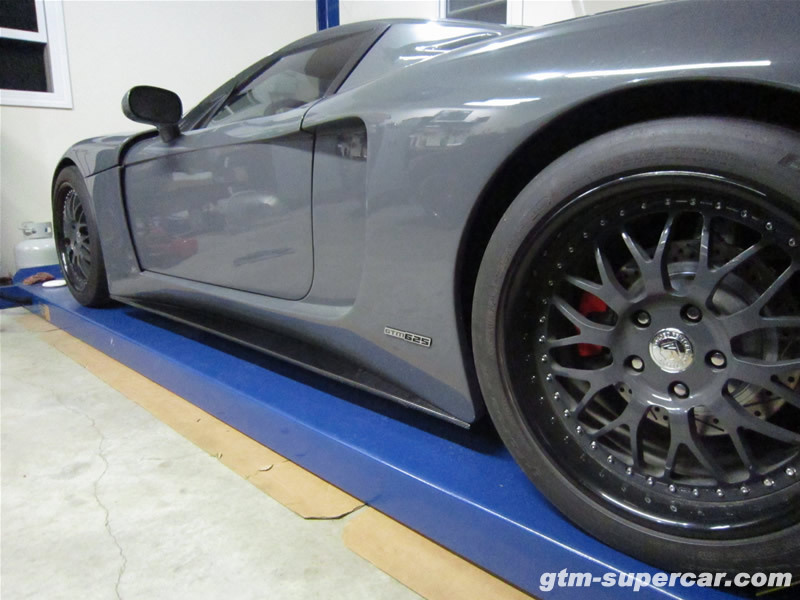 After settling the front height is now at 4 3/8″ and the rear is at 4 5/8″. 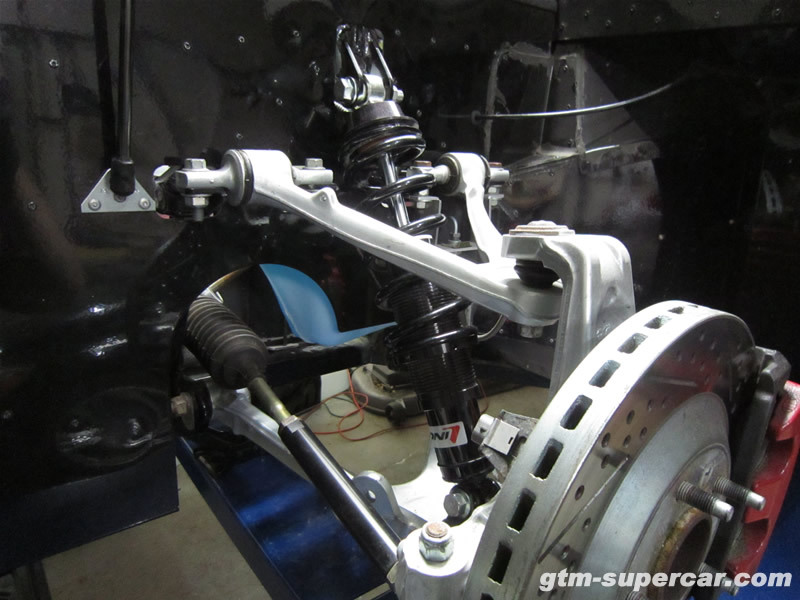 Driving feel is much improved; it’s amazing how much of a difference 1/2″ can make. I would say the improvement with this adjustment is as great as when I adjusted the height earlier this year. 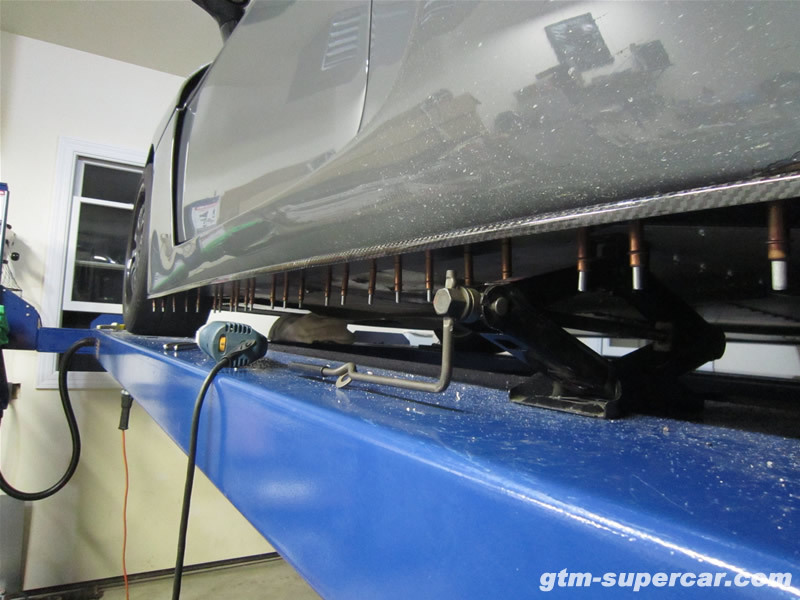 Handling and stability is excellent and the car doesn’t react to the road surface nearly as much. Everything has been running great since doing the coolant leak fix and getting the AC running. Just ticked past 2200 miles today and set a new record for ‘number of cameras sticking out of car windows’ in a 45 mile drive with 6. It never gets old. 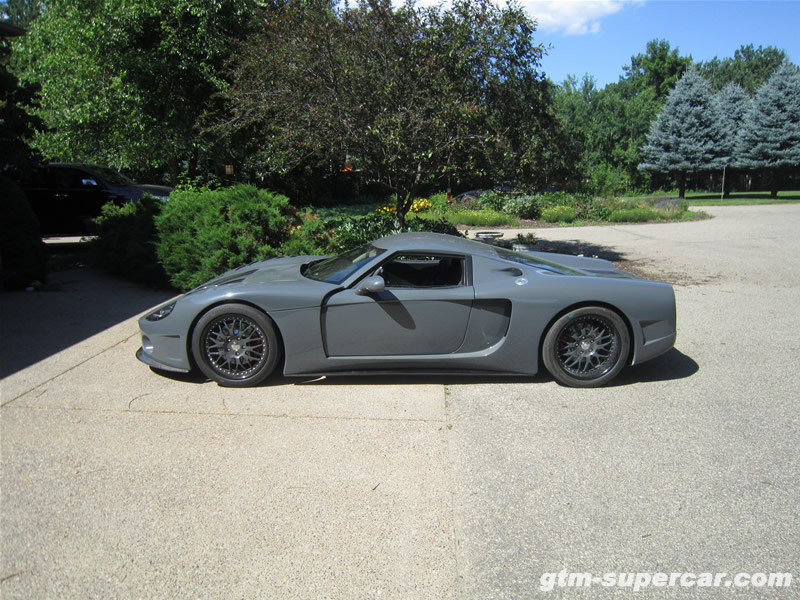 Over the last month I have been working on the GTM’s engine tune. 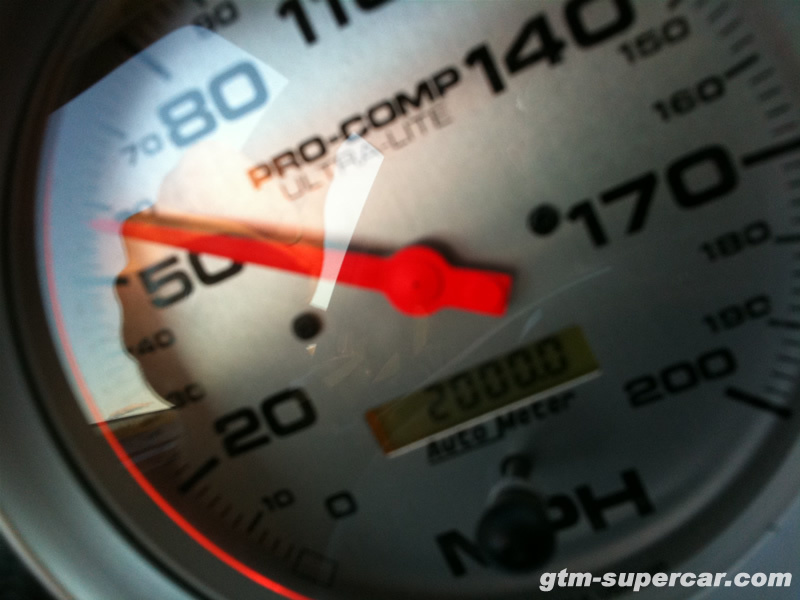 With more HP Tuners knowledge under my belt I have been focusing on fine tuning drivability, fuel efficiency, etc. I started from scratch, basically, and got the fueling (VE) and MAF airflow tables in line, making throttle response much crisper and smoother. 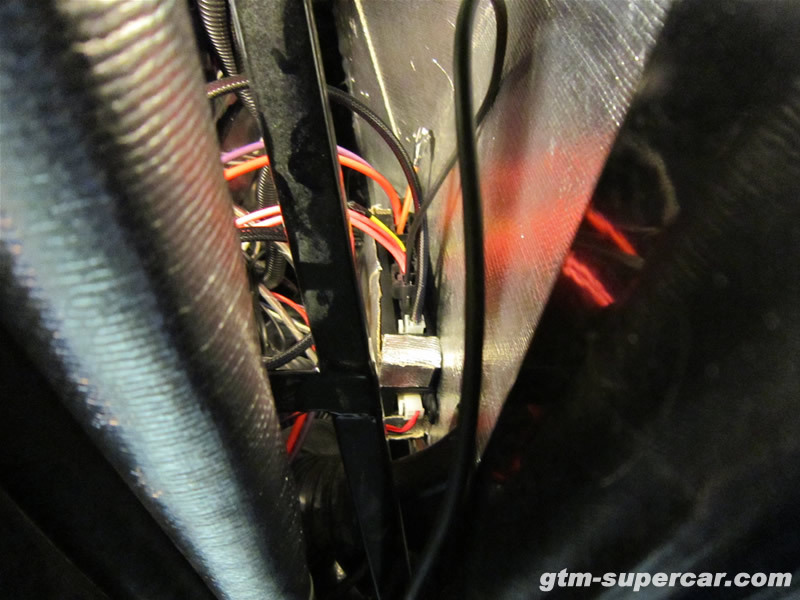 I was able to ‘undo’ a lot of the things I tweaked last summer when I was just trying to get the motor to run and not stall at stops. 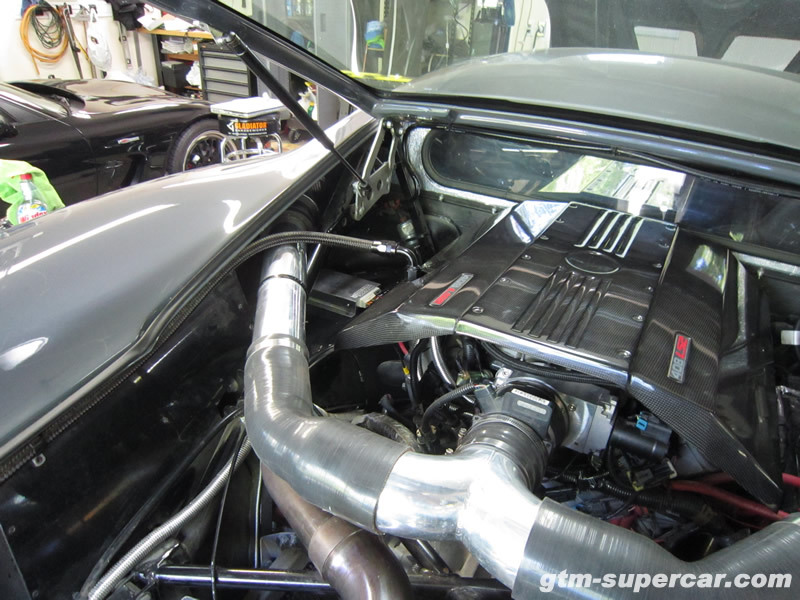 Fuel economy is much better now that the motor is not running so rich at lower rpms. 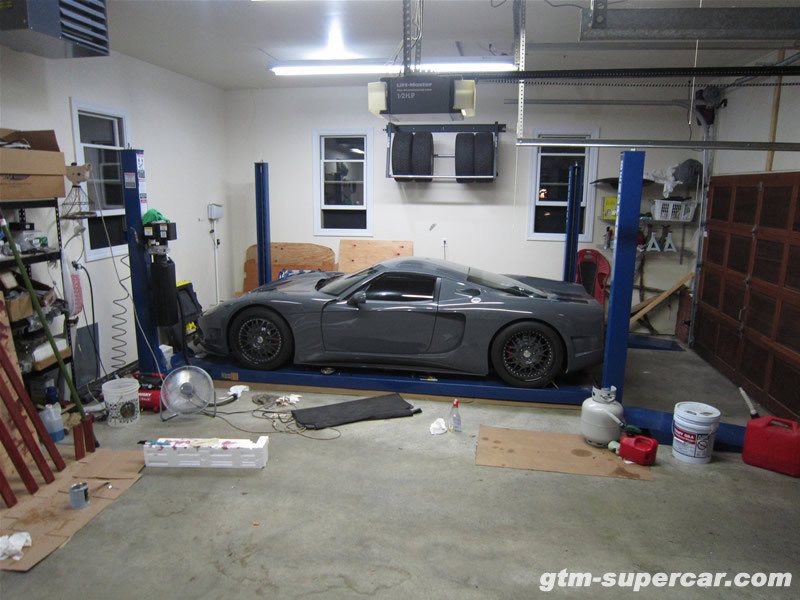 While tuning takes a lot of seat time to get data logs and results, that’s certainly not something I’ll complain about. 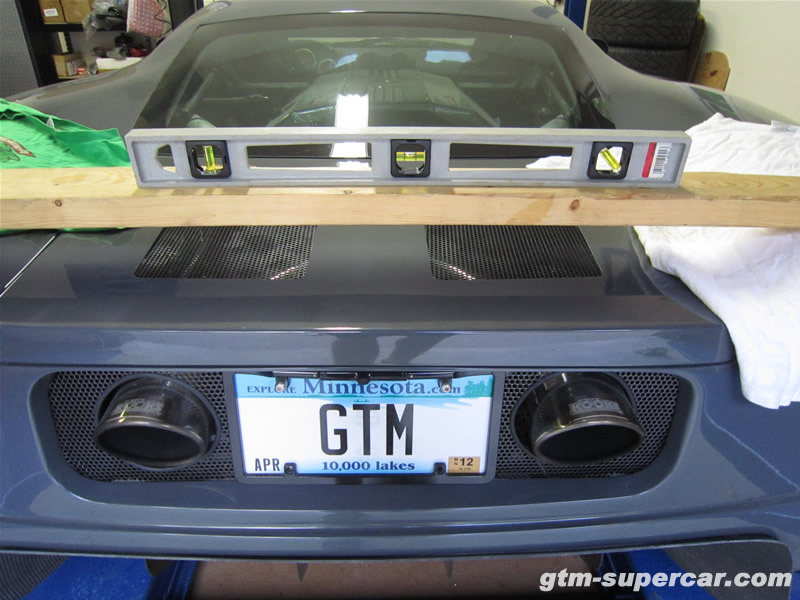 I have had some custom emblems in the works for a while now and they finally got finished this week. I feel the exterior badges, while being just a slight enhancement, go quite a ways in making the car look more ‘production’ compared to the ‘de-badged’ look. After putting 1700 miles on the odometer I figured it was time to see if I could fix the AC leak before summer was over. 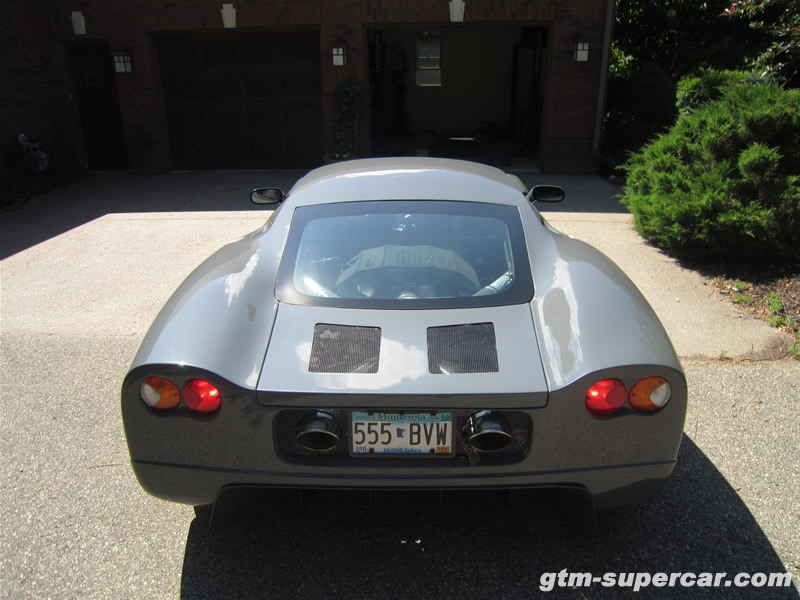 I took the GTM to the local shop that tried charging the AC in my garage last summer with the hope that they could use their ’sniffer’ tool to find out where the AC leak(s) were. Fortunately, the tech was able to locate the leak in less than 5 minutes. The leak was at the low side service port connector to the AC accumulator/dryer. I had my fingers crossed that this would be where the leak would be, as many other builders that have had AC leaks had their leaks at the same connector. The cause of the leak was an insufficient o-ring. The o-ring supplied with the vintage air kit is one size too small. Any builders out there that haven’t gotten this far yet – make sure to check that o-ring. With the new o-ring in place the system held vacuum and charged successfully. 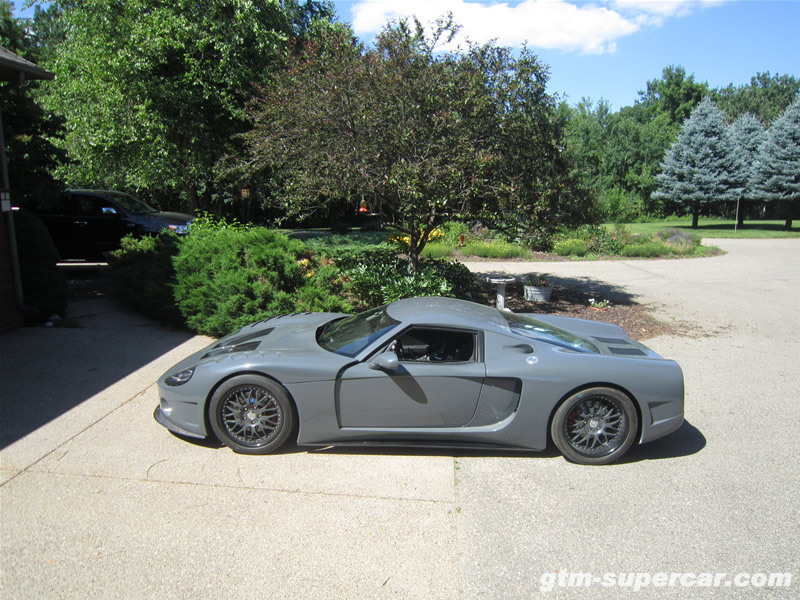 I got in the GTM and cranked the AC and was greeted to a faceful of 2 years worth of dust, but it worked! This was a great relief, seeing the AC fire up and work properly. When I was tuning my motor last year to get it running properly I had set my “AC target idle RPM” to 1100 and the car seems very happy at that RPM with the AC running. 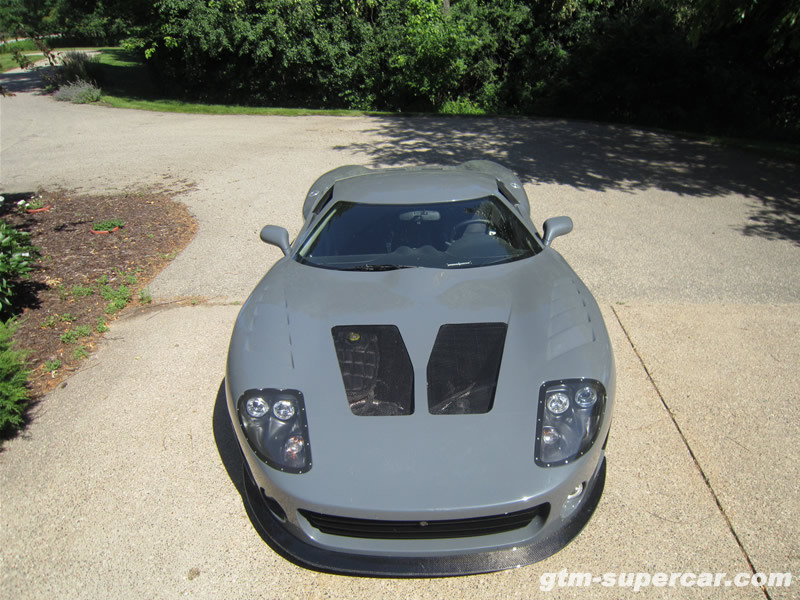 Took it out for a 35 mile drive in 80 degree weather and the car never got any warmer than it would have when the AC was not working. At stops it actually runs/idles smoother with the AC on. Cliffs: AC works great and keeps the car nice and cool. 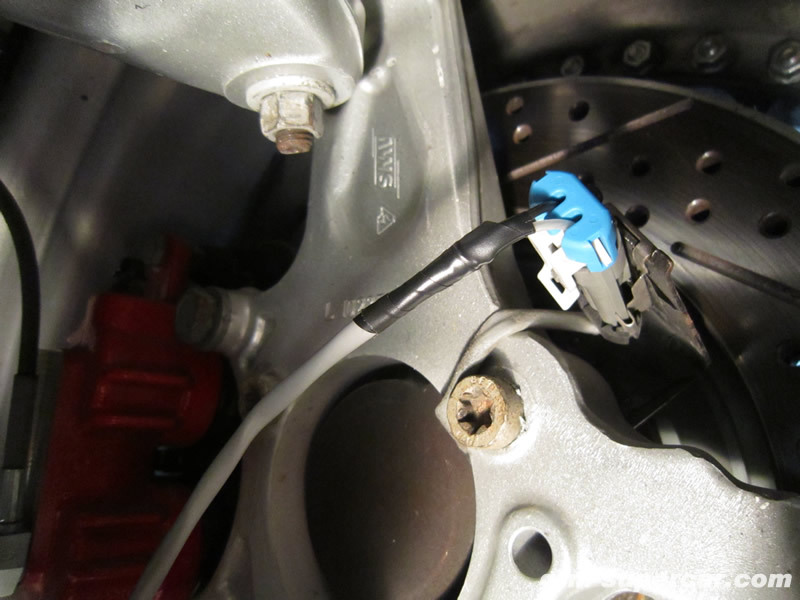 Check your accumulator low-side service port connector o-ring! Coolant Line Ruptured, and Fixed. 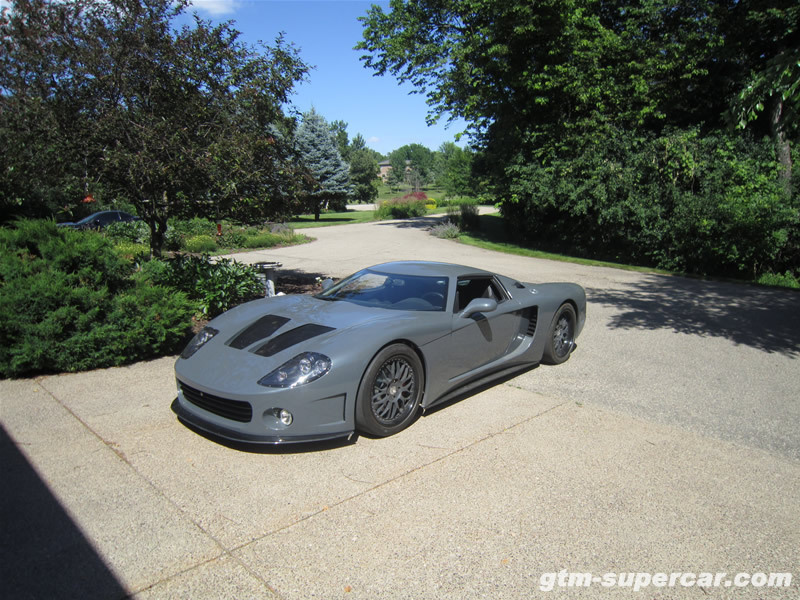 Last week while cruising some back-roads in the GTM I started to smell coolant. Not the greatest smell when you are out in the middle-of-nowhere and it’s blazing out. I came back into town keeping a close eye on the coolant temp and temps were still fine, so I took it out on some more back-roads with temps still fine, coolant still stinking, and eventually got it back home and on the lift. 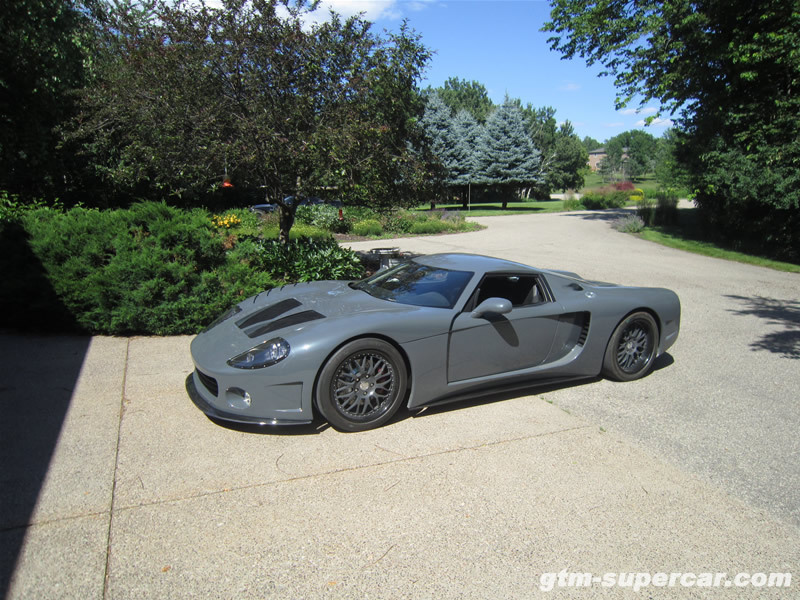 Suspicions were confirmed when I saw that the GTM had created a slow drip of coolant seeping through the underbody aluminum under the engine. I took the underbody panel off and did not see anything out of the ordinary and assumed that the previously mentioned super slow coolant leak I had at the thermostat/steel hose connection was just seeping again. 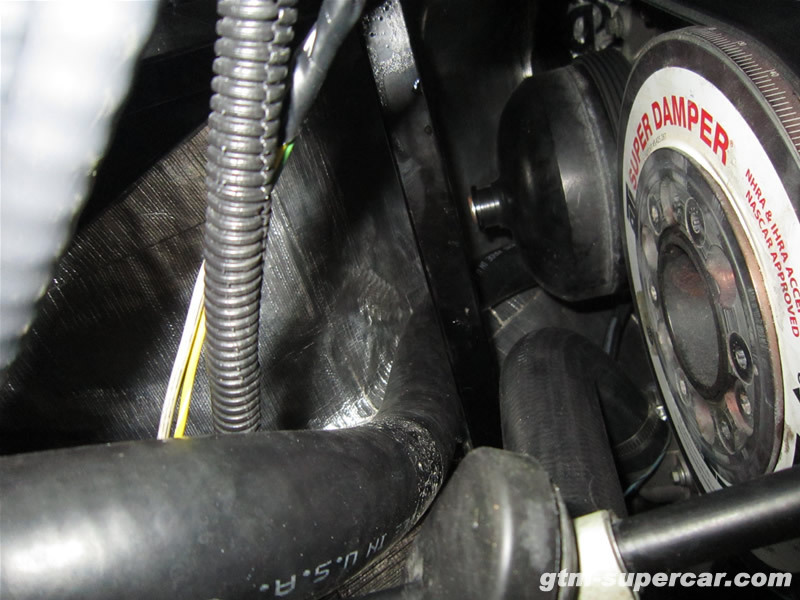 I then noticed some dirt on the water pump-to-radiator steel hose that runs in front of the balancer. Upon wiping the ‘dirt’ off I was sprayed in the face with coolant. Nice! Apparently the steel hose had chafed on the balancer somehow and it created a pinhole in the hose wall. 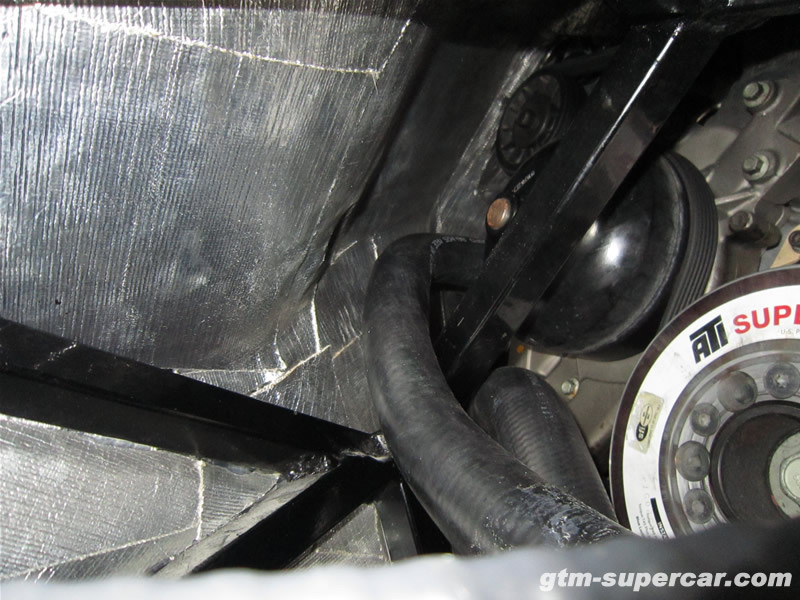 Fortunately, I had dropped in some ’stop leak’ tablets into the coolant last week and that stuff clogged up the hole (hence the ‘dirt’ on the hose). 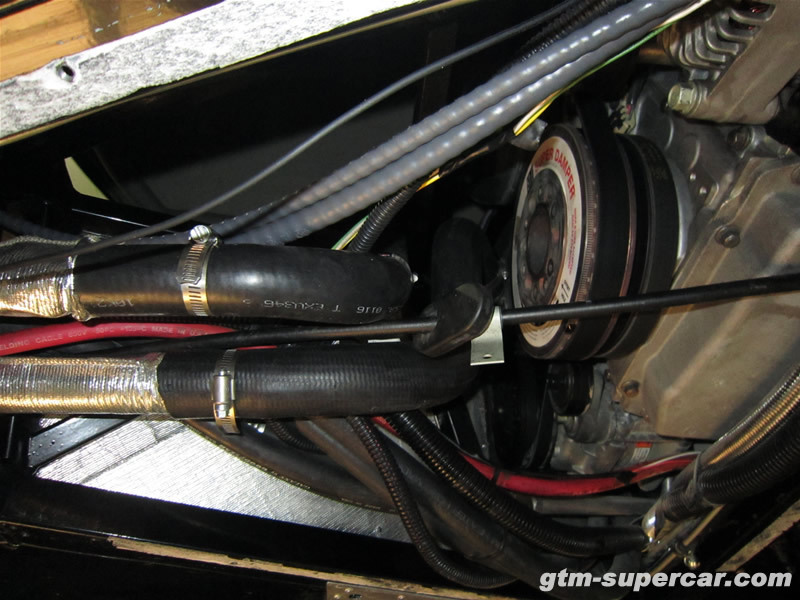 I stopped the leak with some strategically applied paper towel and went to the local auto-parts store the next day and ordered new hoses to replace FFR’s supplied steel corrugated hosing. 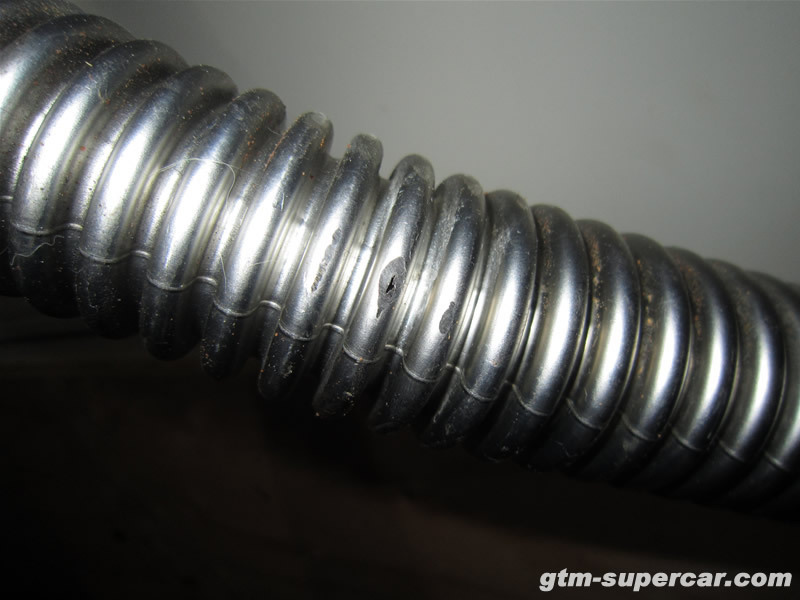 I ended up picking up Gates molded coolant hoses, part #’s 20827 and 20893, as per some recommendations from the forum. To get started, I removed the interior engine cover and pulled the rest of the underbody aluminum off (tunnel pieces, at least). 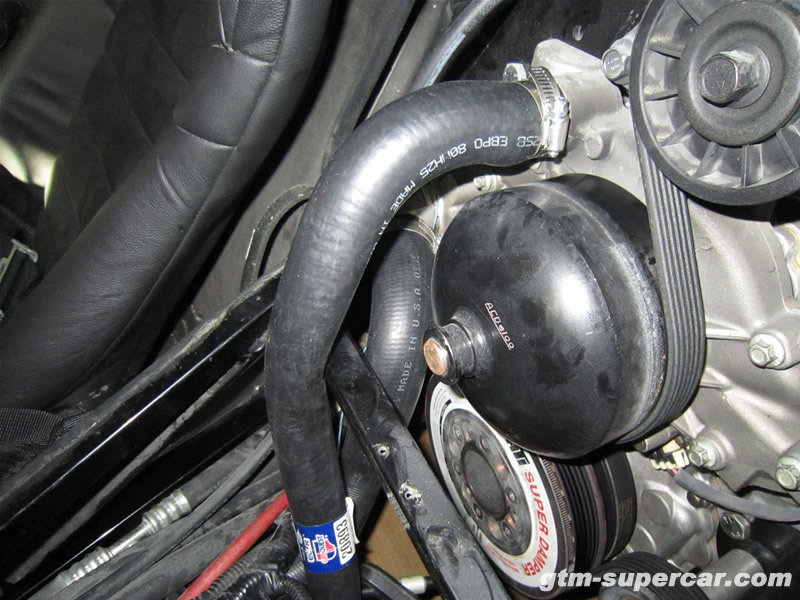 I started on the thermostat hose first and loosened up the 1.25″ hardline that goes to the t-stat steel hose. After draining what coolant I could from this side (about 2 gallons) I pulled the hose off of the t-stat and connected the Gates hose (20827). 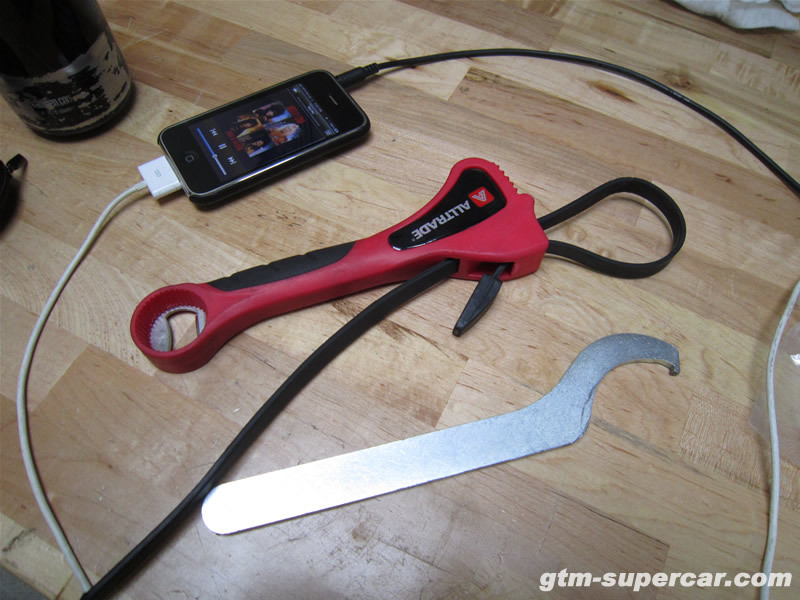 This Gates hose is a 1.5″ hose so this meant that it would not fit the 1.25″ hardline without an adapter. I mocked up the connection to the hardline and set to work on the water pump hose. This side dumped another 2 gallons of coolant, and then I disconnected the steel hose from the water pump. 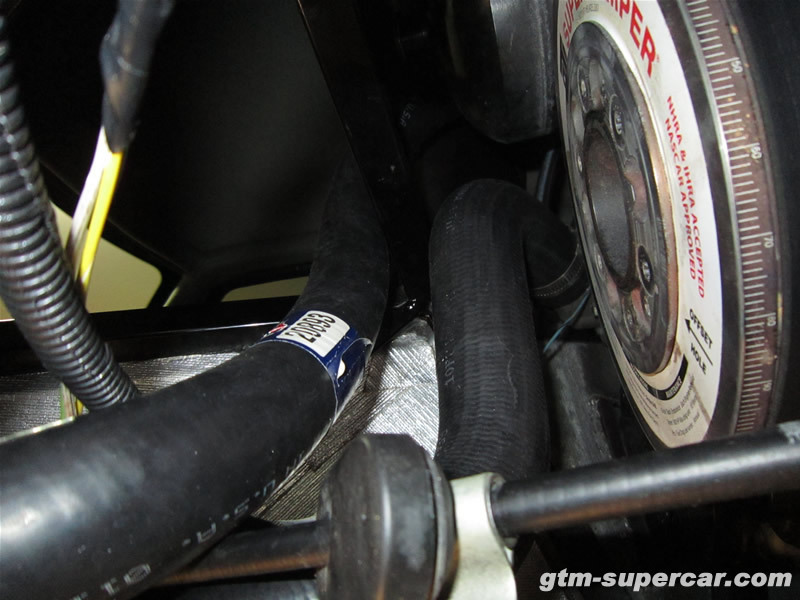 The Gates hose for the water pump (20893) is a 1.25″ hose, so it fit the water pump fine, but of course would not fit the 1.5″ hardline that it had previously connected with via the steel hose+adapter. As a result, I consulted with the forum again and decided to swap the hardlines side to side (not changing any connection paths, simply swapping the 1.5″ hardline with the 1.25″ line). 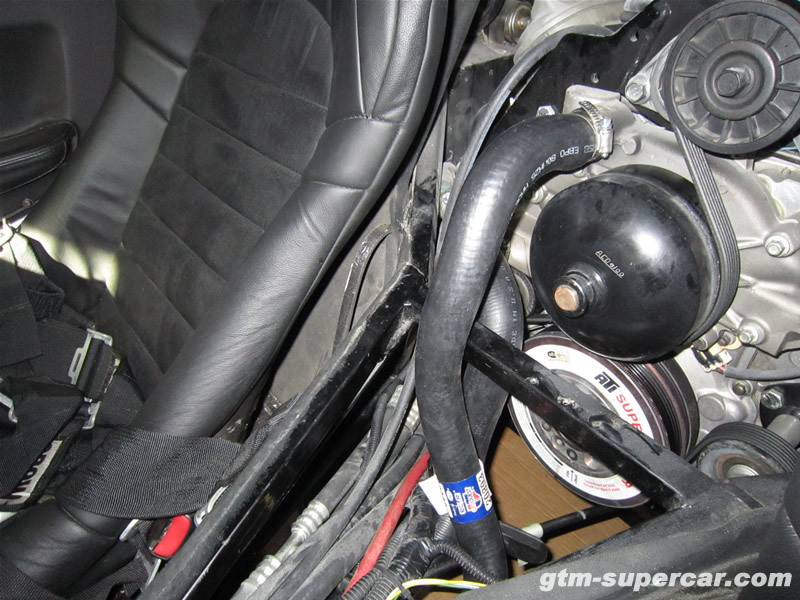 This allowed the Gates hoses to fit up perfectly – 1.25″ from water pump to hardline, and 1.5″ from t-stat to hardline. No adapters, four less points of leakage/potential failure. The Gates water pump hose works quite a bit nicer than the corrugated hose as it clears the frame member in front of the motor, eliminating any possibility of it chafing on the balancer again. With the hoses reconnected and hardlines secured again, I was able to dump almost 2 gallons of coolant back in. 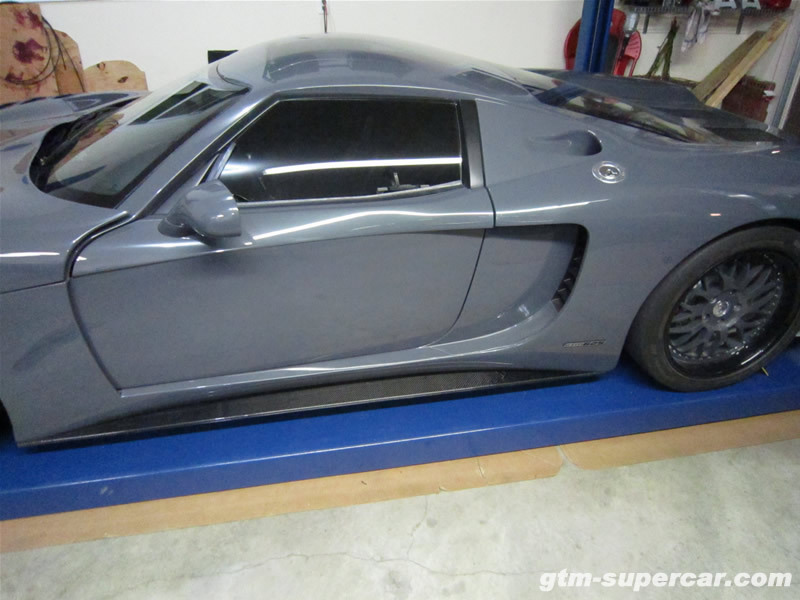 I jacked the front of the GTM up and let it sit overnight. The next day the coolant level dropped a ton and was able to get another gallon in. 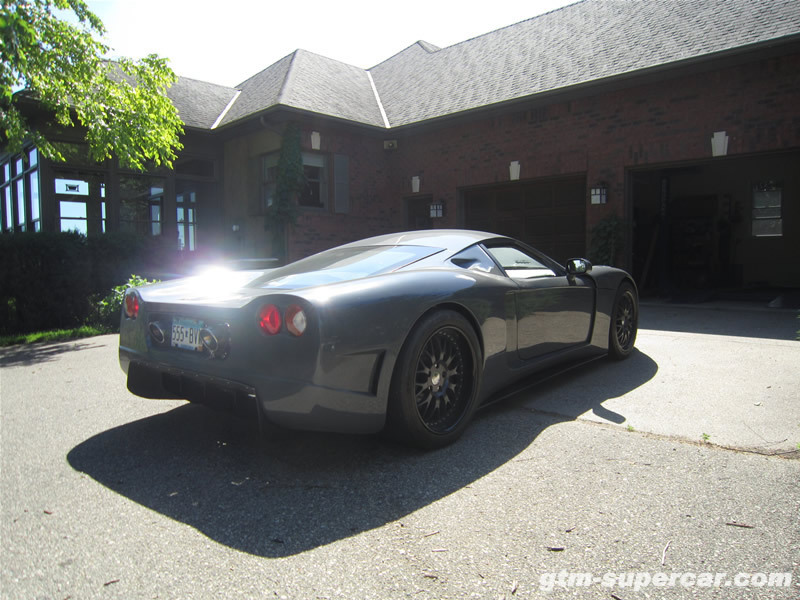 I started the GTM up and let it idle for a few minutes, then shut it down. This got coolant circulated and pushed a bunch of air out and allowed me to get the last gallon of coolant I had pulled out poured back in. 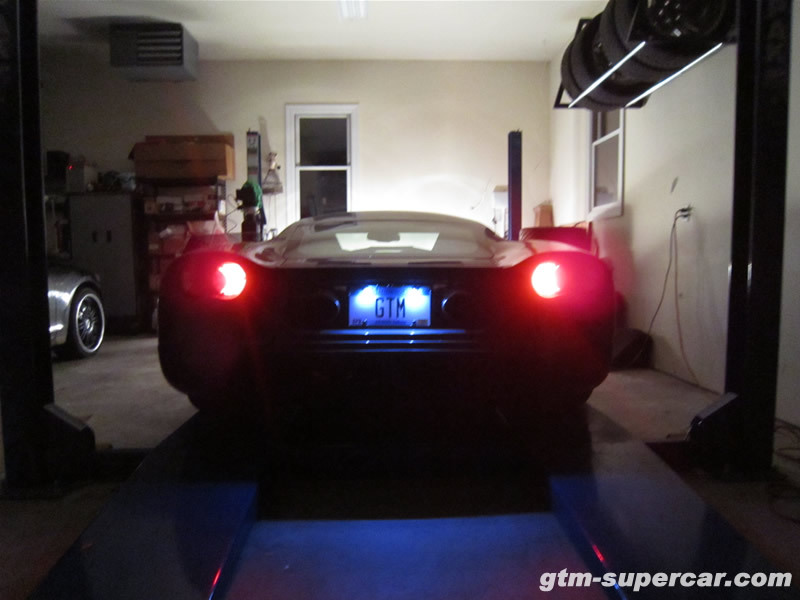 I then idled the car for 20 minutes or so (took that long to get to its standard 210 degree operating temp in a 95 degree garage) and it showed no signs of overheating. Fans were coming on, going off, temps held solid. Good stuff. Shut it down and topped off the surge tank again with another quart of coolant/water. No leaks. This fix ended up being much less of a headache than I had anticipated. Buttoned the car up and got the car out today for a hot (102 degrees in the sun) 20 mile drive with some spirited throttle work here and there and all systems checked out. Temps never went past 210, and it seemed to be running cooler by bit, even. 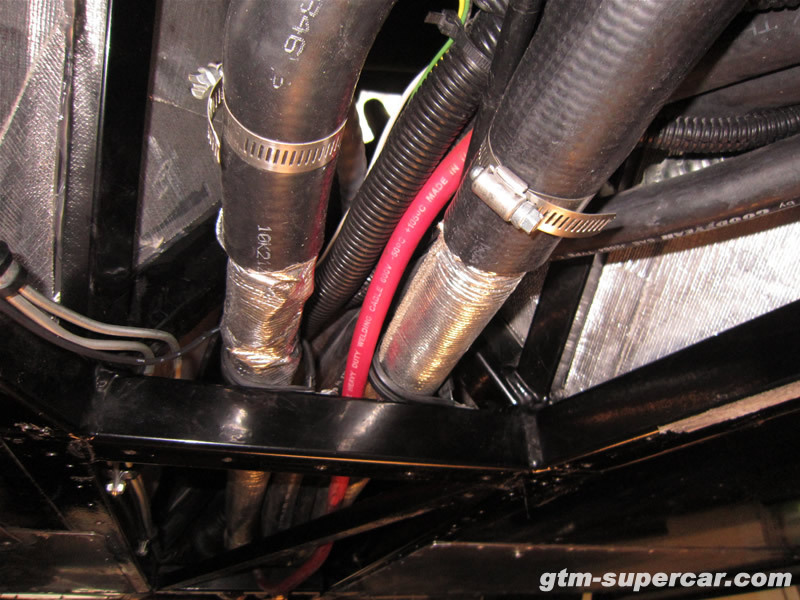 This is how FFR should have the coolant lines setup in the manual from the get-go. 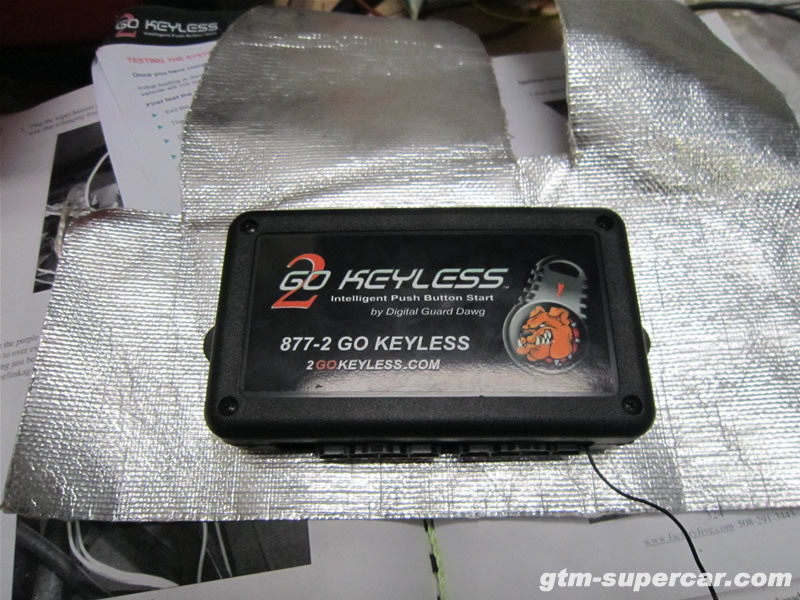 I finally decided to tackle installing the 2go-keyless push-button start system I picked up last fall. 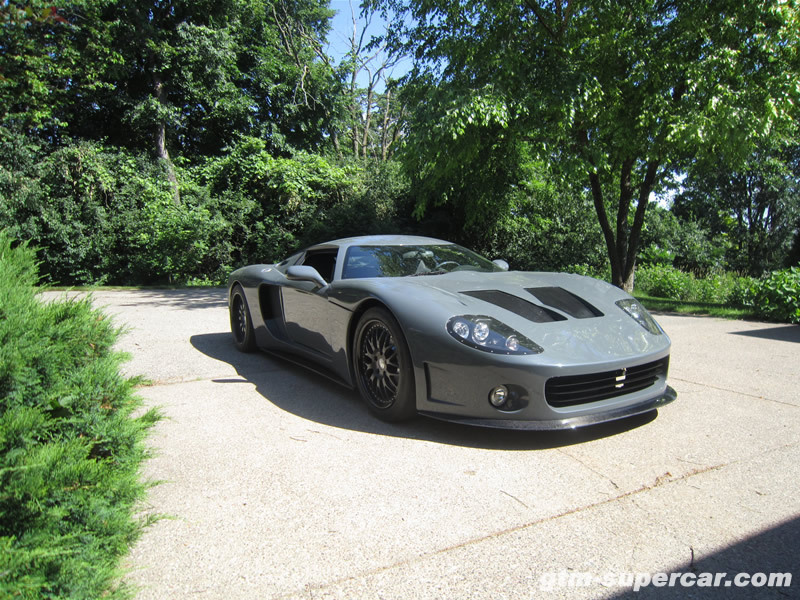 This is a pretty straight forward modification. Easiest way to tackle this, for me, was to go in from underneath. 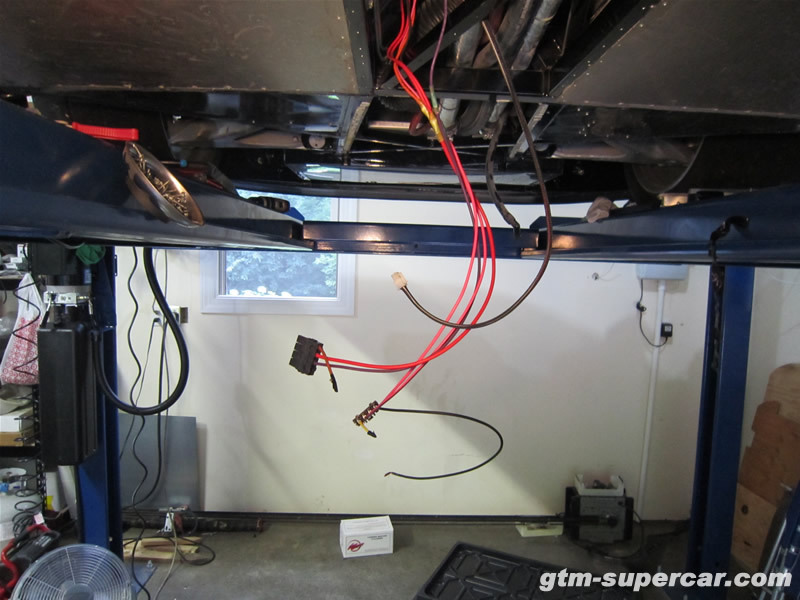 With the underbody aluminum out of the way there is some decent working room to make the necessary wiring changes, and install the controller box. 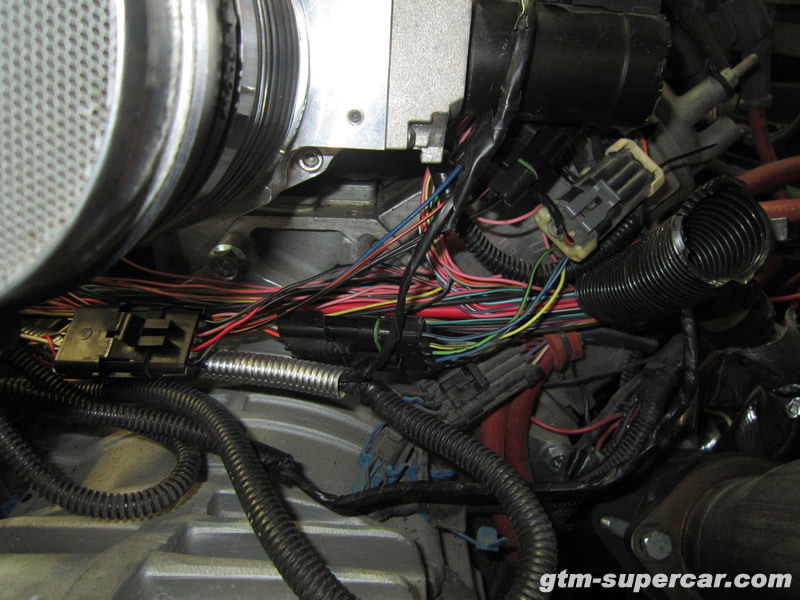 The old ignition was removed and the ignition wires were connected to the control box harnesses (only 4 wires to join up). The start switch plugs right into the control box. A programming switch is installed under the dash ‘just in case’ the key fob fails and I have to manually start it. 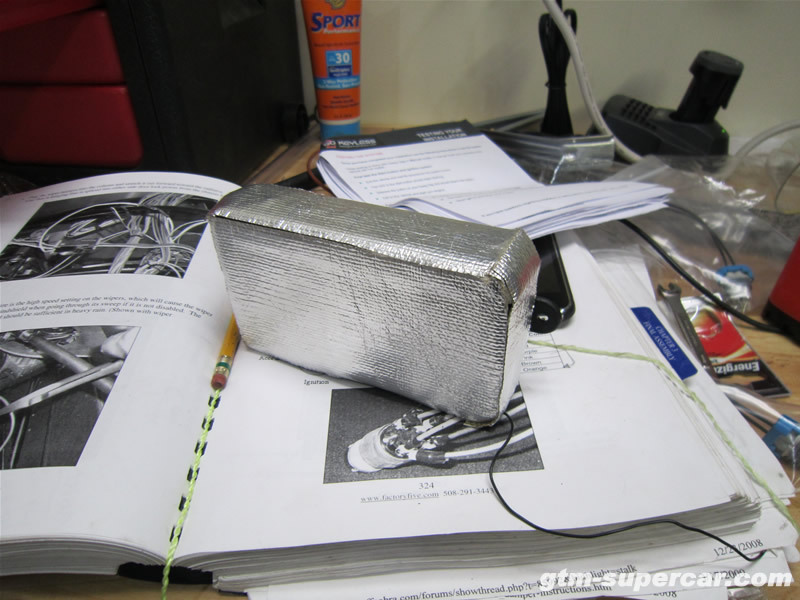 With everything in place I covered the control box in Thermotec heat shield and stuck it up inside the tunnel with some heavy-duty 3m adhesive tape. Harnesses were then connected, switches plugged-in, and ground established. The only real trouble I had was once everything was tested and buttoned up, the system stopped working. After checking all my wiring, re-doing the ground connection, etc., I realized it was due to a faulty (or improperly programmed) fob. During my previous tests before cleaning everything up I had used the ‘backup’ fob. At least that one works. The system itself is nice. The start button lights up when the car is running and flashes every second when it is ‘armed’ when the car is off. The keychain fob can be put into a manual or automatic mode. Manual requires you to press the button on the fob while starting, automatic is completely passive – just need to have it on you when starting the car. The range for the fob detection is about 10′. The start button itself can be lightly pressed to turn on accessories. Pressing and holding starts the car. Definitely nicer looking than the standard key ignition. 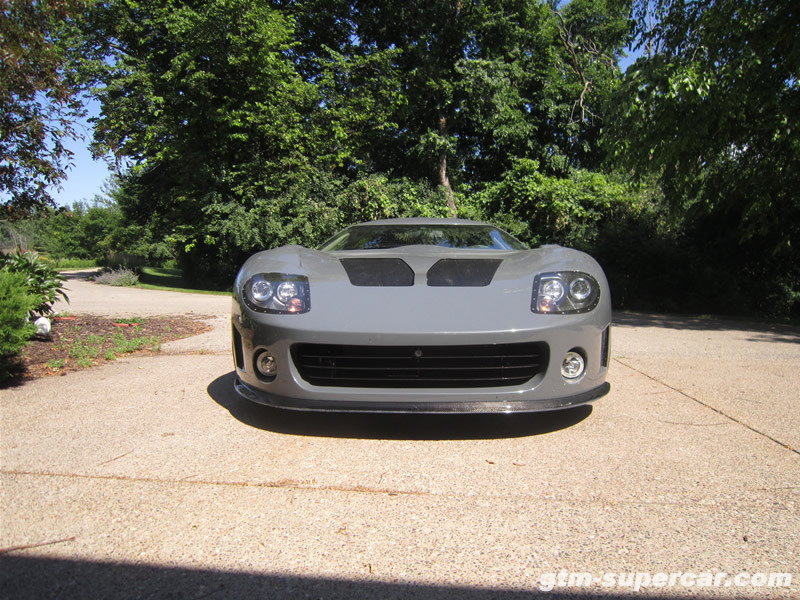 Amazing what a few pieces of carbon fiber and a new grille can do to change the stance and ‘feel’. I couldn’t decide what pics to be selective about and upload, so I’ll just put them all up. 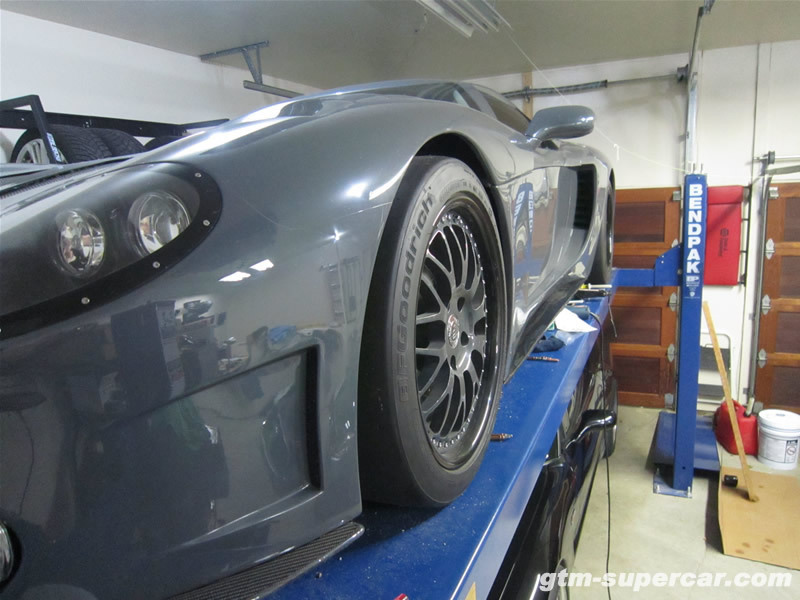 Installed the carbon fiber rocker extensions to complete version 2 of the Stealth GTM. 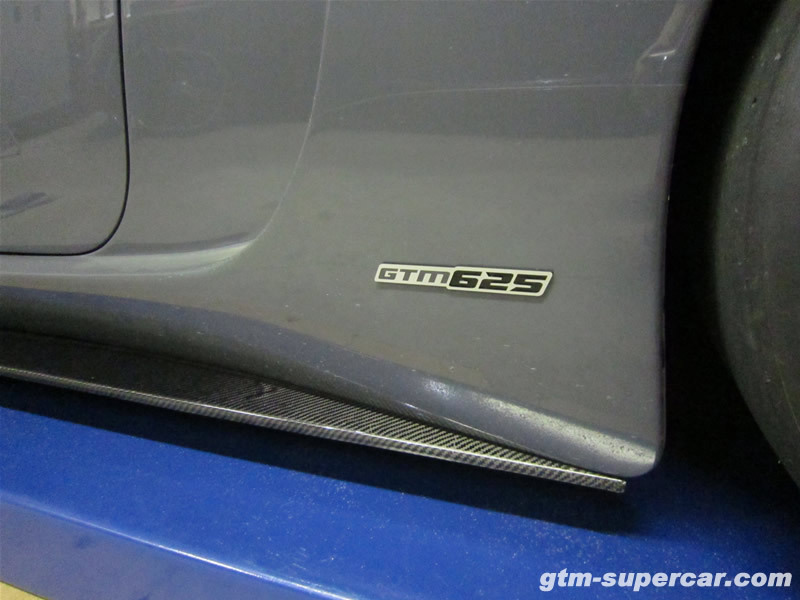 These are a straight-forward install – nothing worth noting really. I thought it would be tough getting into the car with these sticking out, but it doesn’t change the degree of entry/exit difficulty at all. 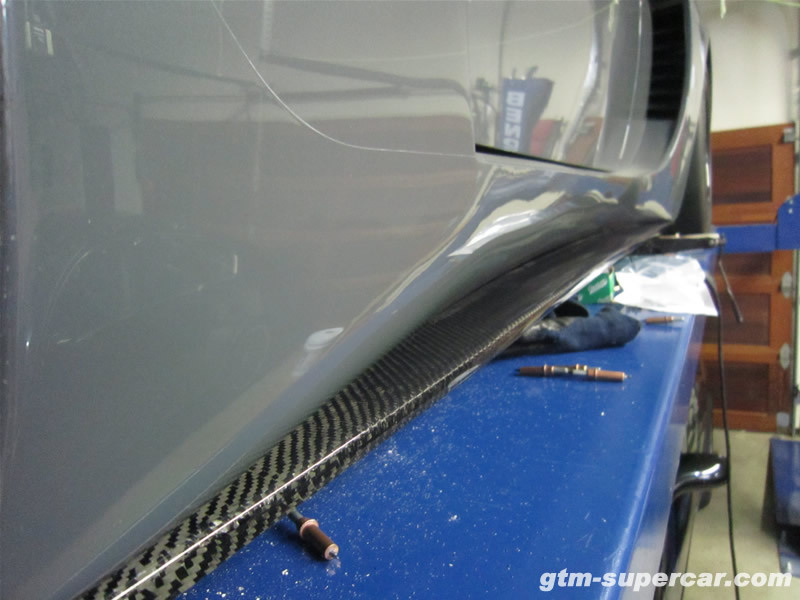 Greatest benefit of these extensions, other than appearance, is that they will keep debris from hitting the side of the car.